Home » Culture » Art & Music » Live Music In South Lake, Summer 2015! South Lake is going to be popping off this summer with tons of live music events! Here’s a list of what’s hot for summer this year and be sure to regularly check out our calendar to stay updated on even MORE music and events. Live at Lakeview concert series promises a great time to a gorgeous backdrop. Photo by Mike Palacio. As we all know by now, Live at Lakeview has since gone on to define our Thursday summer afternoons! With beats on the beach accompanied by gorgeous sunsets, to a mini “strip-mall” of local vendors, it’s as Tahoe as Tahoe gets. It’s also the spot to see and be seen. You’ll probably run into your dentist. You’ll probably run into your teacher. You’ll probably run into your ex with his new girlfriend. But will you care? NO! Because the music is great, the sunset’s 50 shades of purple, and you finally made it farther than 8 inches on a slackline. On the weeken ds, do you ever find yourself wishing you were laying poolside with a martini in hand listening to the sickest DJ spin tracks? Well, dream no longer! It’s about time we got a good daytime pool party scene going in Tahoe! You can bet your bottom dollar there’s going to be live DJ’s, cabanas, stunning cocktail waitresses in bikinis, and a great excuse to drink piña coladas all afternoon! We also hear the new pool remodel is amazing! The party kicks off May 30 with DJ RCA Nashville and will continue on every Saturday through the summer! When: Every Saturday 12noon – 6 p.m. all summer long! BassCamp brings the festival to the mountains. Photo by Redrum Photography. 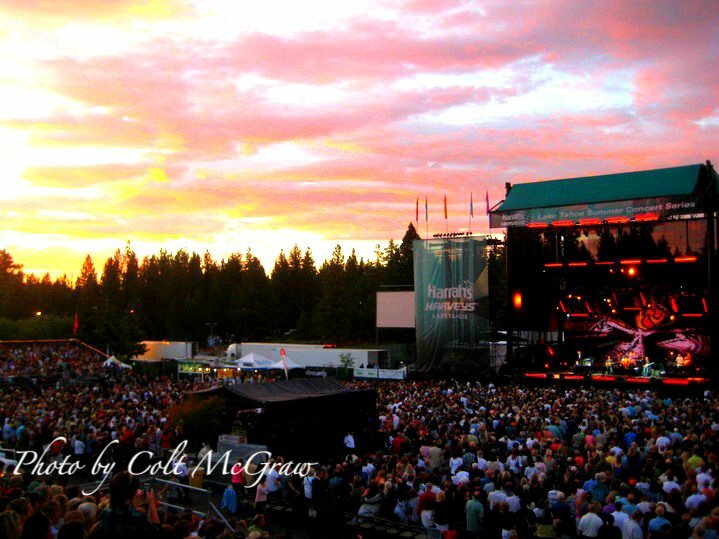 Pretty much the most badass music festival that’s held in Tahoe during the summer. Last year was absolutely insane so you can bet this year is going to be equally, if not more, incredible! BassCamp brings top DJ’s and performers from across the nation to perform on three stages for the 12 hour festival. The line-up will be released any day now and we can’t wait to see what’s in store. More FREE live music radness! The Shops at Heavenly Village 2015 Concert series takes place every Friday/Saturday from 5-9 from Memorial Day weekend through Labor Day weekend. Get to know each on of these performers by clicking on the link! Saturday, 7/4 – Tuba Luba | Brass Band! Hey, mon, I need some reggae in my life! Iration and Matisyahu will be headlining this all day festival that will be taking place at Hard Rock’s outdoor arena. Also performing: The Expendables, The Green, Don Carlos, Fortunate Youth, Vokab Kompany and Squarefield Massive. Where: Hard Rock’s outdoor arena. 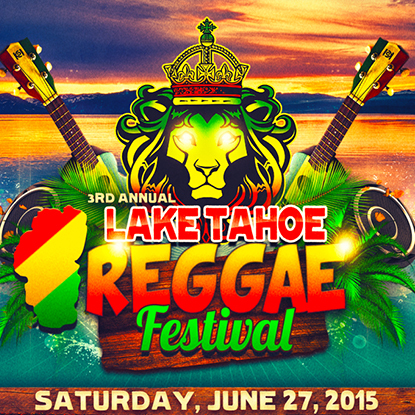 For more info check out: Reggae Fest link. We don’t know how they do it, but Harvey’s always manages to get the biggest names to the lake. Here’s this summer’s line-up.